Almost everyday,thousands of blogs are created but only hundreds are maintained. You will agree with me that blogging pays the bills and the best way to make more money from blogging is by driving massive and effective traffic to your blog. There are things every newbie should consider before going into blogging and that it why i have made out time to draft out at-least 7 things i should have considered before setting up Loadedvilla.com years back. I never had a niche when i started blogging. This was one of my major challenge. As a new blogger then, no one ever told me that blogging on a niche would be preferable than blogging on versatile topics. Though i was able to create an awareness with my versatile topics by driving more people to read my content, i still had a challenge; this was the challenge of setting up a blog that would house more returning visitors. Since my visitors were not sure of getting a carved topic on daily basis from me; my versatile niche became very boring and i had to make the decision of changing my blog "Loadedvilla.com" into an education and career website. Though this was not as a result of my minor decision, but this was propelled by the fact that my blog crashed way back 2012 which eventually made me lost some important stuffs like: Alexa ranking, Seo ranking (Though i am gradually recovering), my visitors and a whole lots of them. So you see, if you really wish to get into the business of blogging, then you ought to carve a niche for yourself. Yea. This should be one of your major consideration before going into blogging. A blogger without a goal is like a doctor without a hospital. No goal No Future. If you must venture into blogging, then you must learn what your audience want, how they want it, and what they will want it for.Just as i mentioned "Having more returning audience" from the first point, i would love you to really consider how you can maintain and furnish them with fresh ideas that would quench there hunger for tech crazies(Forget about the grammar). You should have asked yourself that question before reading to this extent.. It is important you know how to write and when to write about it. Alot of wanna be bloggers have the idea(s) but lack the know-how of penning their skills on a paper. You can see that you have two things involve, you have the challenge of carving a niche you would do better on and have the other challenge of drafting that skill or knowledge on a book for the second party to read and understand without any hassle. Maybe one of these days if i am chanced, i will be talking about how to perform a certain task so you will see the way i get my point passed to my readers.Anyway, that is a story for another day. Even if you are going to take blogging as a passion, for how long shall ye continue in passion that bills will arise(Speaks in a modified biblical lingo).Seriously, i really don't think you should disturb yourself having that fake idea of "passion". Yes! it is good to have passion for whatever you do, but you know passion dies when it can not be fueled right? Maybe i am wrong or maybe i am right, it all depends on what you want and how you want it. If you carefully check the blogosphere, you will understand that alot of wealthy guys are funding their blogs with large cash just to get heard anytime and anywhere. So you must be able to get yourself fixed into the web. How Much Can You Invest On That Blog? Don't tell me you are planning on setting up the challenge without sustaining it with some cool cash? That will be bad for you my dear friend. It is often said that "garbage in garbage out." The measure you invest is directly proportional to the measure you will receive. If i reveal how much i have invested into making Loadedvilla what it is even though it lost some of its traffic then in a crash, you would be like "What The F**k is wrong with you? Don't you know what to do with money? No No No. I just love what i do and how i do it. The money matters but the love is what has kept me going. What Will Be My Source Of Income To Sustain My Blog? 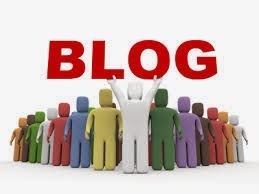 You have the options to choose how you want your blog to fetch you income. I have made this terrible mistake in my blogging journey. And this is the mistake of tying my blog to one source of revenue which is "Google Adsense." You should know what i am talking about. Every new blogger gets excited once they hear the word make money online with google adsense. Mehn! that singular method of making some cool cabolas(Money) online is fast becoming very difficult trust me.Recently i ventured into fiverr, and i can say that one can actually make some money from those dude. Recently, +Ebenezer Obasi gave his testimony on how he made some cool cash there.It is quite wonderful and i bet i should be teaching you about that some other day. Before i started blogging, i was like "ain't gonna need anyone to tell me what to do and how to do it on my blog." This diverted my attention from reading more blogs to find out more or what i need to know as a blogger. I discovered that i was actually wrong.I began learning some new tips when i started reading +Don Caprio blog, +Aha!NOW and some other bloggers like +Obasi Miracle who is a close friend of mine and +Soki Briggs who actually taught me some tips before i took a flight in blogging three years ago. There are so many things you should consider before going into blogging. Let me stop here. I really want to give some finishing touches to this blogger template. Will tell you how i did that next time. Hmmm! I have made so many promises for next time i hope i fulfill them.Have a nice day. Wait a minute, Forgive my manners, i should be asking you to tell me yours via the comment box right? use it please.